Now that that’s settled, here’s what you need for the Spicy Shrimp Paleo Pasta. Thaw the shrimp and peel or devein if necessary. Place on baking sheet, drizzle with 1 tbsp olive oil and half of the lemon juice, then season with salt, pepper and crushed pepper. Roast at 400 degrees for 6-8 minutes and set aside. 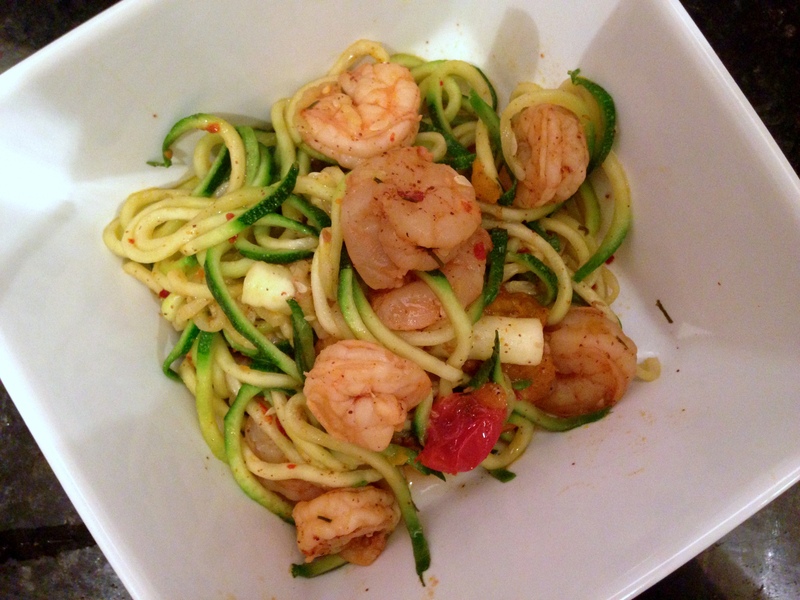 While the shrimp cooks, spiralize your zucchini and set aside. Heat the remaining olive oil (or other cooking fat) over low to medium heat then add minced garlic and diced onion. Add zoodles to the pan, and cook for a few minutes* using tongs to toss them for even cooking. Drain your can of crushed tomatoes to prevent the sauce from being too watery. Toss tomatoes in with the zoodles** and season with salt, pepper, crushed red pepper and Italian seasoning to taste. Cook for another couple minutes, until warm throughout then add shrimp. Drizzle zoodles with remaining lemon juice and serve! * It’s a fine line between fully-cooked and soggy zoodles. The Inspiralized website has great tips and helpful videos if you’re new to veggie noodle cooking. ** You can always drain the zoodles in a colander if they have let out too much water during the cooking process. I need to get my spiralizer out. I haven’t used it in a while. But this looks really good! We’re big shrimp fans here and like you, I usually have it in the freezer. Shrimp is so versatile! 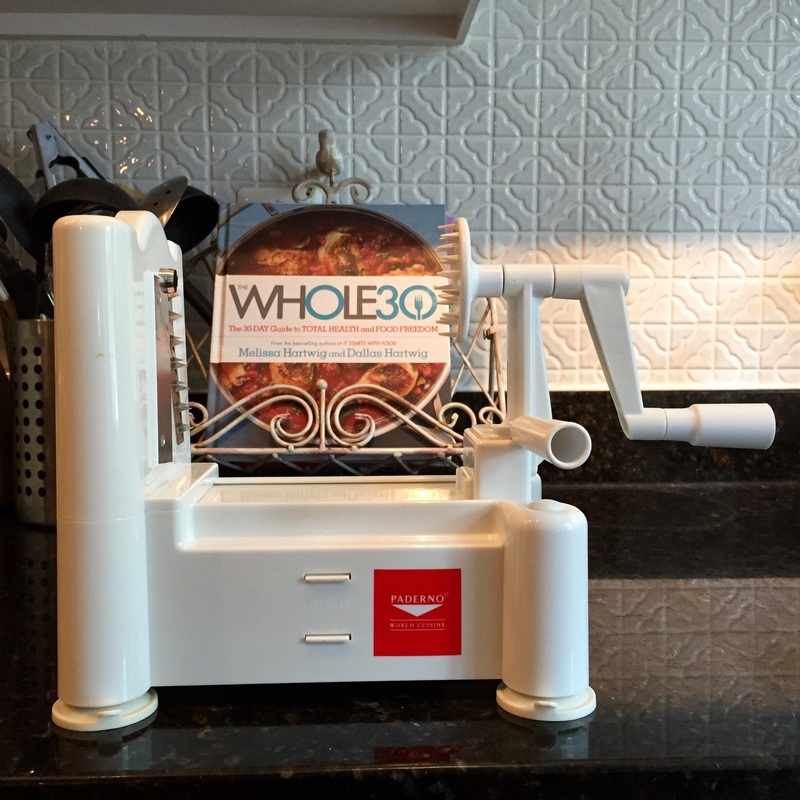 The spiralizer is one of my favorite kitchen tools, but I need to use it more often as well. Thanks for stopping by!